After lengthy negotiation back in 2010 the BHA kindly agreed to raise the cap of winning rides for ex-conditionals/apprentices reverting to amateur status from 10 to 25 and also remove the 48 month time limit that was then in place. At that time we automatically assumed that the age restriction would also be lifted, but unfortunately it has taken another 8 years of continual request to see this progress somewhat in that ex-conditionals/apprentices can (as of today) now ride in point-to-points even after retiring as a professional after the age of 25. Our struggle continues as we request that this same Rule (that has always existed in Ireland where there is no age limit) should also apply under Rules to include Hunter Chases as well as both amateur and NH professional races. 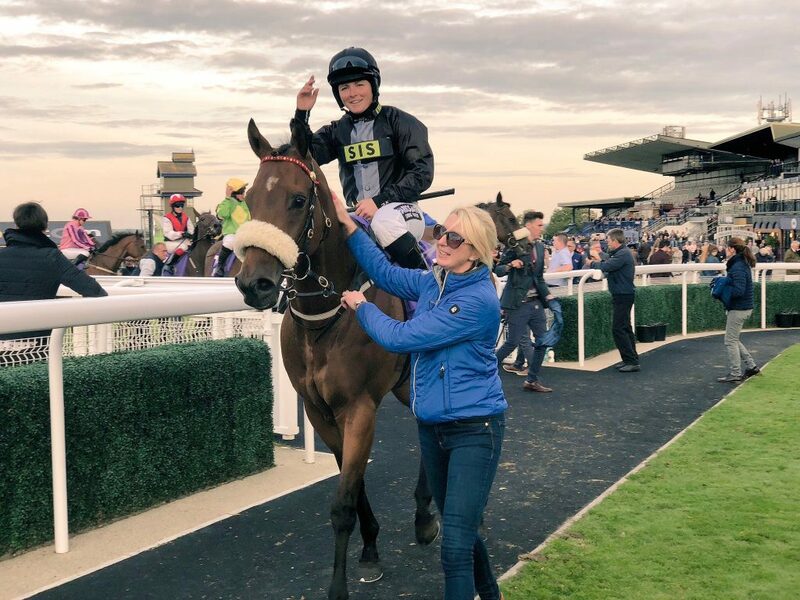 We would welcome hearing from any ex-conditional/apprentice jockey who would benefit from a lifting of the current age restriction of 26 who has not exceeded 25 professional wins. Please get in touch with Sarah Oliver if this is you at e-mail: sph.oliver@btinternet.com or text 07789 935399. 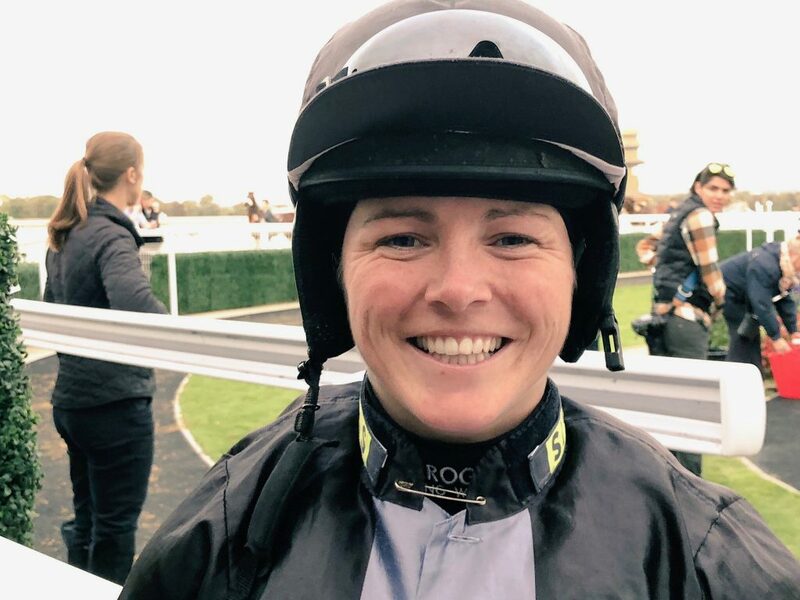 Many congratulations to Becky Smith on tightening her grip on the ladies’ Flat Championship yesterday when winning the last at Beverley with PALINDROME for Marjorie Fife, bringing her season tally to 9, 2 clear of nearest rival Emily Easterby. Detached by some way in the early stages, Palindrome made steady headway from 3 furlongs out to chase the leaders and switched left inside the final furlong to lead and win by a neck from Nigel Tinkler’s DUTCH COED and Samantha Pugh (having her first ride), with HARD TOFFEE (Serena Brotherton) just over a length 3rd and WHATWOULDYOUKNOW (Amie Waugh) a further 2 lengths 4th. 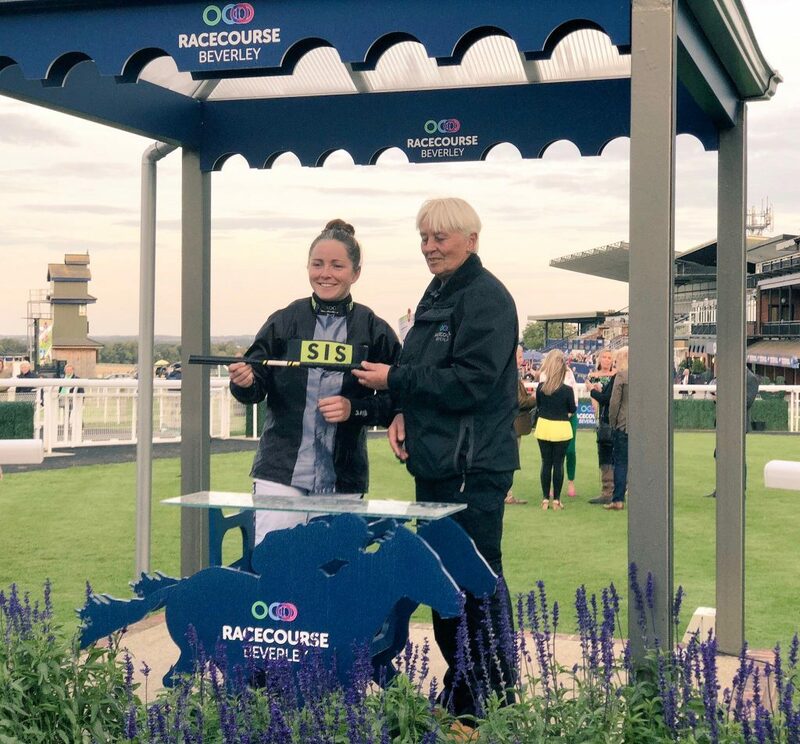 Many congratulations to winning connections and huge thanks to Beverley Racecourse for their great support of amateur races this and every season. 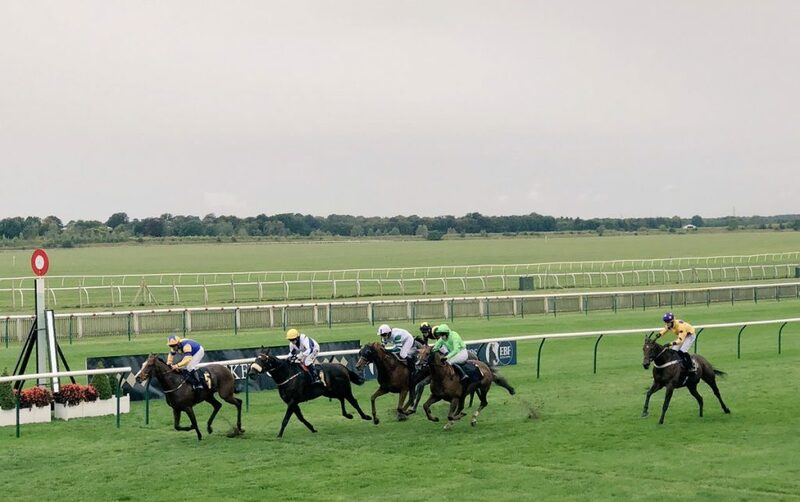 After a strong entry of 26, somewhat disappointingly only 7 went to post for the inaugural running of the Amateur Cambridgeshire at Newmarket over 1m 1f on the Rowley Mile on Saturday 22nd September thanks to a drying week and good to firm ground, with rain not arriving until the raceday. This was Cesarewitch Trial Day and also 32Red Newmarket Open Weekend and the wet weather did nothing to dampen the atmosphere, particularly with our own Hayley Moore choosing our race for her part in the annual Commentary Competition in aid of the Open Weekend’s charities which include Racing Welfare. Participants’ Just Giving fundraising pages are open until Sunday 30th September with the winner – the participant who has raised the most money – to be announced next month. For more information on how to donate, please visit www.justgiving.com/fundraising/newmarket-racecourses. Well done champion amateur Simon Walker on success for Sylvester Kirk with BUBBLE AND SQUEAK. Alex Ferguson on TENOR made the running until relinquishing the lead to Becky Smith on RED CHARMER 3 furlongs out and a great finish ensuing. Simon Walker and BUBBLE AND SQUEAK headed them inside the final furlong to stay on strongly and win by a length, with RED CHARMER 2nd, Serena Brotherton and Ed Walker’s I KNOW YOUR LIMIT 3rd and Siobhan Doolan 4th with Paul Cole’s ROTHERWICK. Many congratulations to winning connections and great thanks to Newmarket Executive and sponsors CJ Murfitt Ltd for their support which is greatly appreciated with this exciting new fixture now a welcome addition to our autumn calendar. Invitation to all amateur jockeys! 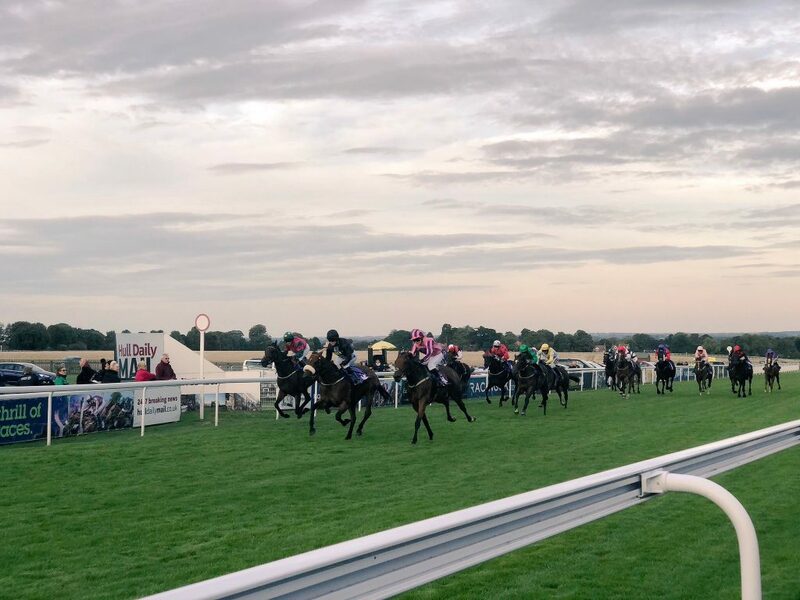 We are holding an AJA committee meeting next Tuesday 25th September at Beverley Racecourse. We are very much look forward to meeting any amateur jockey who might like to introduce themselves to us and air their views and/or concerns. Please come and find us in the Crusaders Horn Box on the 2nd Floor from 3 pm onwards.